and 5 channels of load units, respectively. 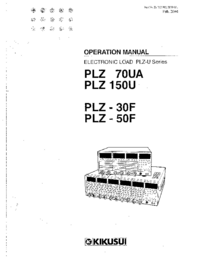 W (when five PLZ150Us are installed into the PLZ-50F). 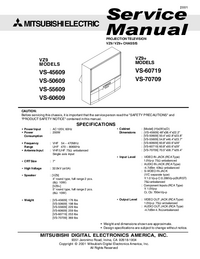 Electronic Load Unit offers wide variety of other features. kg for 3 channels and 5 channels, respectively. of 10 μΑ (PLZ70UA) and 20 μΑ (PLZ150U). transient voltages of constant voltage power supplies, etc. and can be used independently or linked with each other. units of the same type. feature is a must for single cell tests of fuel cells. supplies for these types of applications. 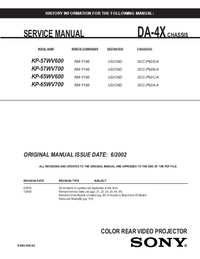 This Operation Manual is made up of the following sections. preparation before using the PLZ-U. the front and rear panels of the frame and load unit. operation mode and other basic functions. This chapter explains the PLZ-U maintenance. 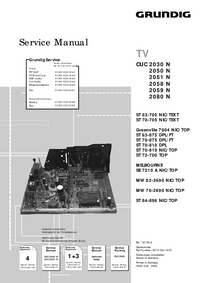 command reference, and error messages.